There’s something that just feels right about “eating healthy”. OK, I get it…you’re not sure where I’m going with this. But, really, after visiting two Hendricks County restaurants, I’m happy to report that there is some delicious food out there that’s fresh and healthy, as well as creatively prepared using locally-sourced vegetables and fruits. 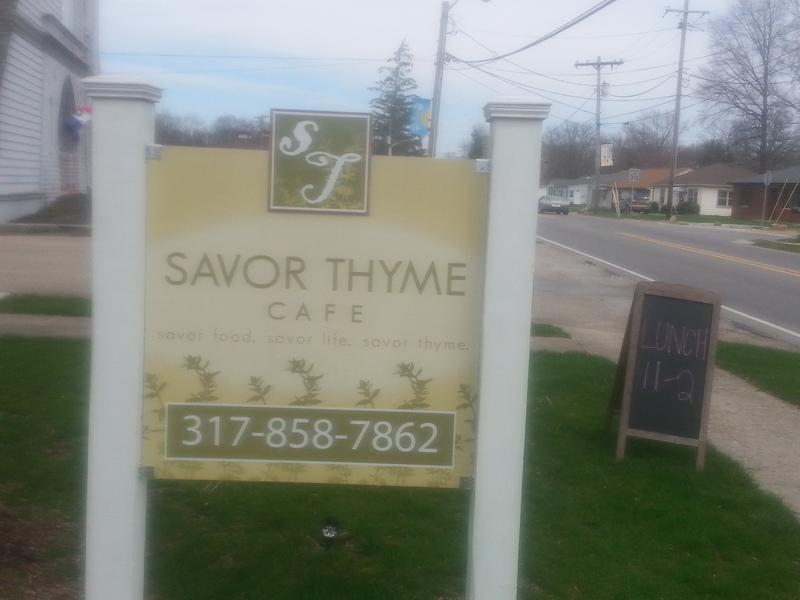 Following on the good advice of our intrepid Facebook followers, I visited the Savor Thyme Cafe in Brownsburg and the Bread Basket Cafe and Bakery in Danville. Each restaurant occupies the friendly confines of beautifully-renovated homes that from the outside look as welcoming as your next door neighbor’s front porch. In fact, both establishments offer porch seating, making each an ideal choice for enjoying a nice breakfast, lunch or dinner. Located at 224 N. Green St., Savor Thyme Cafe offers a wide array of lunch entrees including Portabella Mushroom and Veggie, Salmon Cakes and a Ham and Brie Panini, and your choice of either a mixed greens salad or a Cape Cod Chopped Salad. You can also add roasted chicken or shrimp to spice up your salad for a little bit extra. They also feature a nice selection of soups – called the Cook’s Whim of the Day – and various soup/salad combinations. The dinner menu is filled with lots of different flavorful choices that are sure to satisfy your appetite. On the day I visited Savor Thyme Cafe, I was welcomed with a friendly smile by owner Sheron Bowman and Katie, whose service could not have been any nicer or more efficient. 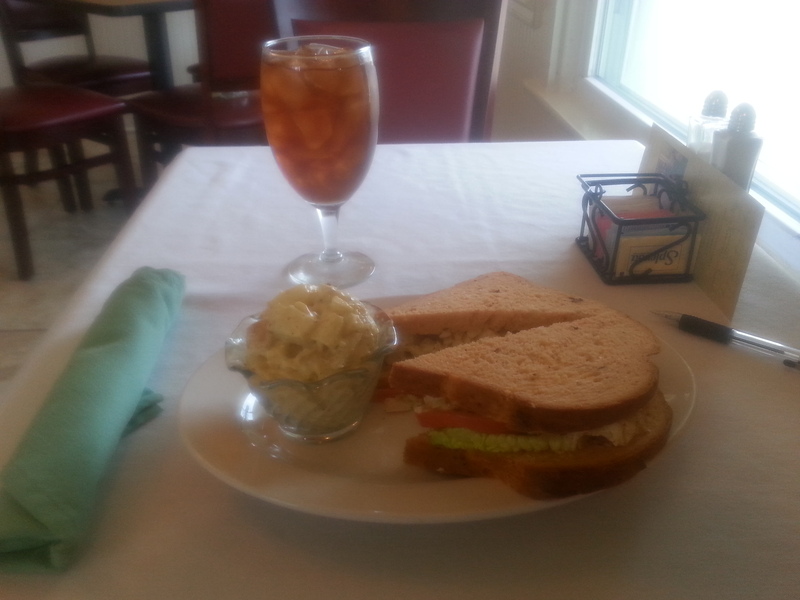 I was able to relax, after which I ordered the Roasted Chicken Salad that was served on fresh tomato basil bread, with a side of potato salad and an ‘endless’ glass of iced tea. The sandwich featured a distinct taste, yet was very light. Likewise, the potato salad is freshly made in the cafe’s kitchen. The atmosphere is family friendly (as is the menu…) and you are welcome to dine in or carry out. It&apos;s perfect as a gathering place for any occasion. The cafe is open for lunch on Tuesday through Saturday from 11 a.m.-2 p.m., a Sunday brunch from 10 a.m.-2 p.m. that includes the lunch menu and dinner on Friday and Saturday from 5-9 p.m. Friendly and fresh to be sure, I will be going there again soon to savor their food. For more information, visit their website. In keeping with the cafe theme, I made a trip to Danville and enjoyed a late lunch at the Bread Basket Cafe and Bakery. On a couple of previous occasions, I had enjoyed some of their home-baked goods – including an absolutely sensational Peanut Butter pie. But, I digress… Owned by Judy Sexton, the Bread Basket is a family affair featuring the talents of her daughters, JinAyla and Ivy, and her granddaughters. Located at 46 S. Tennessee St., it’s just east of the town’s famed Courthouse Square and is open from 7:30 a.m.-3 p.m. Tuesday through Saturday for breakfast and lunch. The cafe features a host of sandwiches – including a Summer Salad Plate with your choice of tuna salad, bacon and egg salad or chicken salad served on a lettuce leaf with a grilled Honey Oat bread and fresh fruit. Another healthy option is their Dilly Turkey Sandwich featuring cucumbers and sweet peppers. Speaking of the vegetables, Sexton said she frequently visits the area’s farmers markets and through her suppliers, she sources locally-grown produce, veggies and fruits. When it comes to their salads, the Bread Basket’s presentation is very appealing, as I discovered with their Orchard Salad that featured the freshest greens, crisp apple wedges, blackberries, Asiago cheese (also locally sourced) and topped with toasted walnuts. 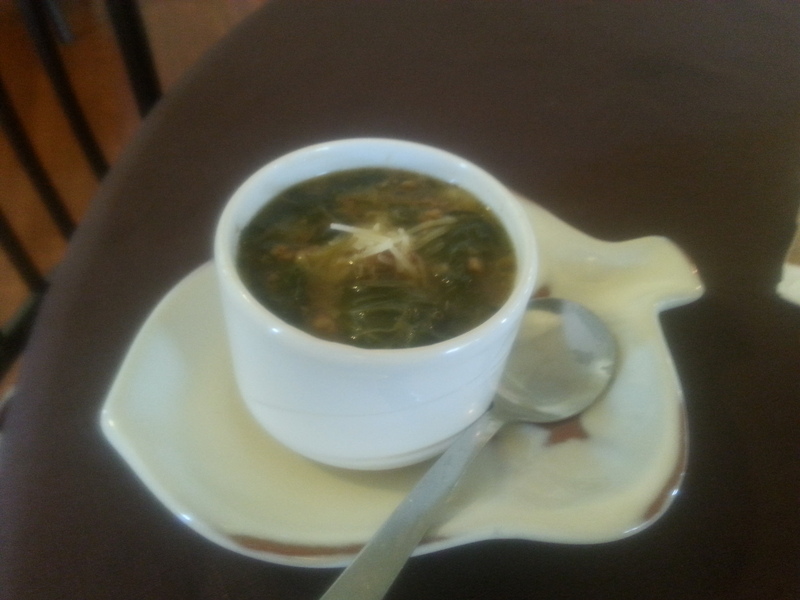 Alongside the salad, Jinayla invited me to try one of their soups. She kindly provided me with two small tasting cups, allowing me to sample both their Roasted Pepper soup and their Sausage and Artichoke Soup with locally sourced kale. Both soups were as remarkable, as they were uniquely different. I ordered a cup of the Artichoke soup, and it was well worth it. 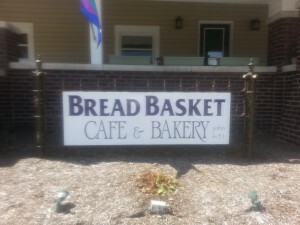 A popular destination, the Bread Basket also serves breakfast and, of course, they have their highly-regarded bakery menu. I had to laugh after I overheard another guest say she would like to have “a tour.” That’s how good each of these places are as dining destinations. So much so, I may have to look into signing up to be a tour guide.